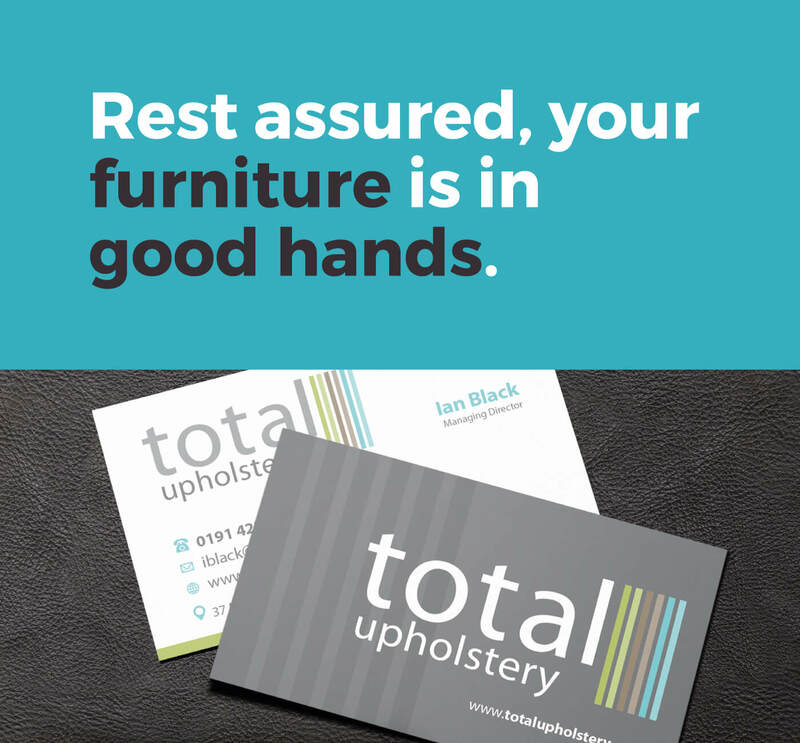 Branding identity and responsive mobile site for quality assured upholstery services in Tyne and Wear. 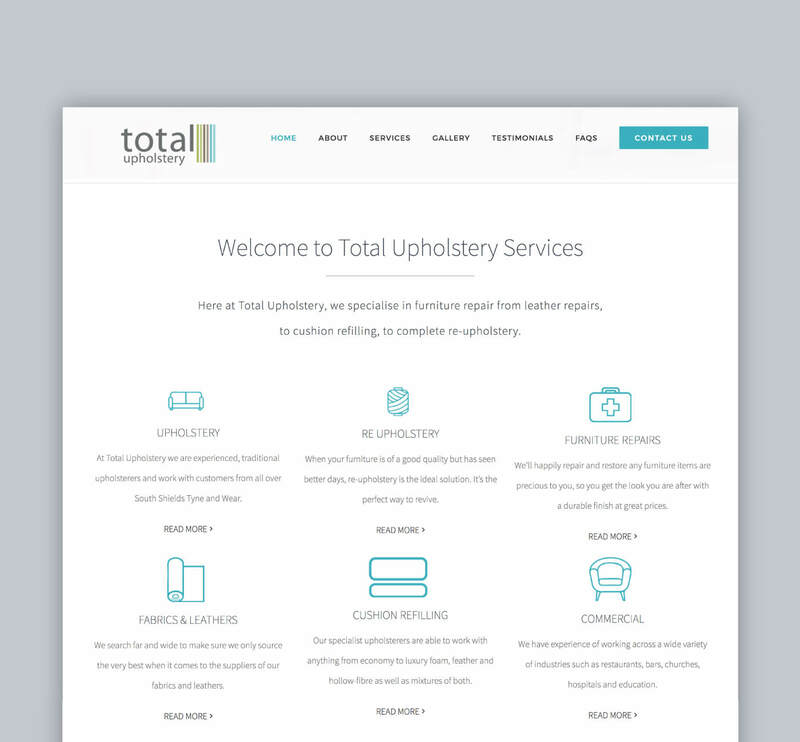 Total Upholstery approached us to build them a new brand and website. 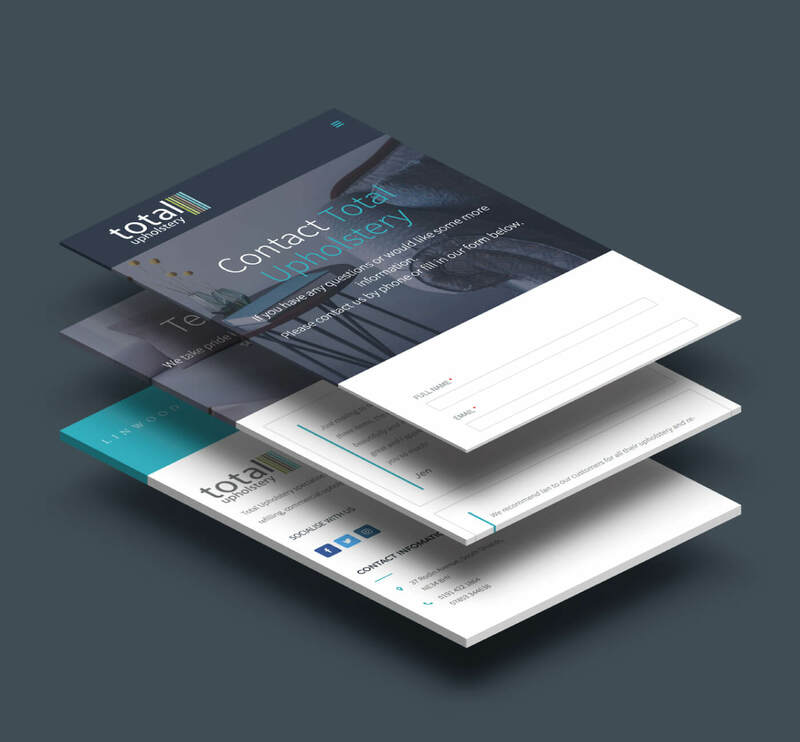 Knowing how good they are, we wanted to make an awesome future proof site to help grow their business. Through research and exploration, we designed a memorable brand that we and our client are very proud of. 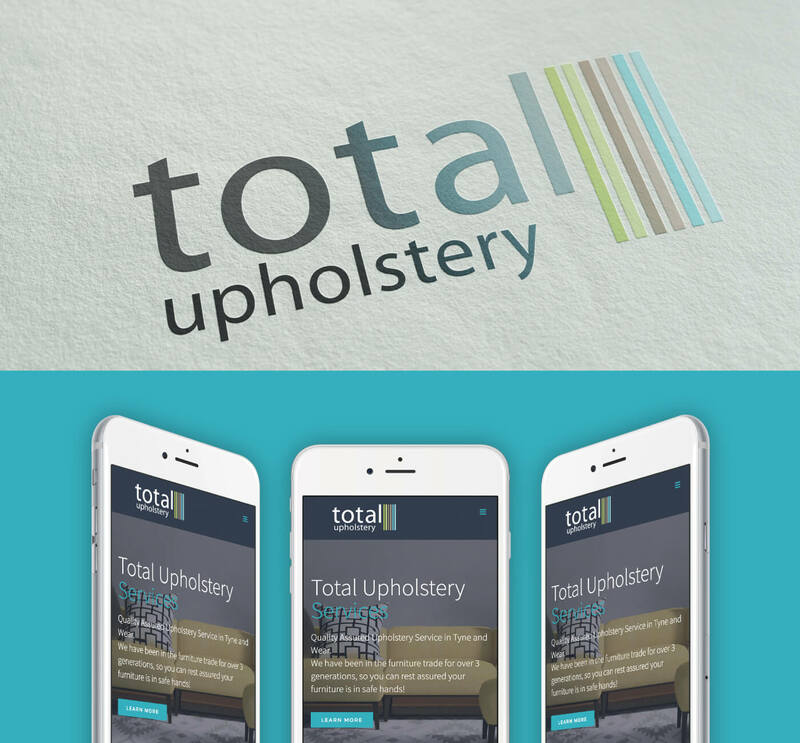 Total Upholstery website was built and designed with Mobile at the heart of the website. All areas of the website are easily managed including the ability to modify the gallery structure on the fly. GB Design Studio were able to take our vision and create a design that was beyond our expectations. All the specifications were taken on board and they offered helpful guidance and advice when needed. The support they provide is fantastic, response time is fast and the team will take their time to help out no matter what, they really do go above and beyond.